In order to strengthen the clinical research and more closely incorporate preclinical and clinical research, MIMS decided in 2009 to initiate a program for Clinical Fellows. It has the intention to connect existing, mostly preclinical research projects closer to the clinic and offered resources corresponding to half-time research positions for two years (as a clinical assistant) for young clinicians. Thereby MIMS hopes to strengthen clinical research in infectious diseases and to recruit physicians who can contribute to a fruitful translational interaction between clinicians and MIMS research programs. The first advertisement for the MIMS Clinical Research Fellows Program was at the end of 2009. It was advertised nationally, e.g., in Läkartidningen. The advertisement included the following information: “The intention is to strengthen clinical research in the field of infectious diseases and to recruit young doctors who can contribute to a fruitful translational collaboration between clinicians and UCMR. The positions are therefore intended for those doctors who are employed in healthcare and will enable research on half-time". Over time, this initiative has led to the employment of four clinicians. In 2013, the Program for Clinical Research Fellows (CRF) is now reaching out on a national basis. 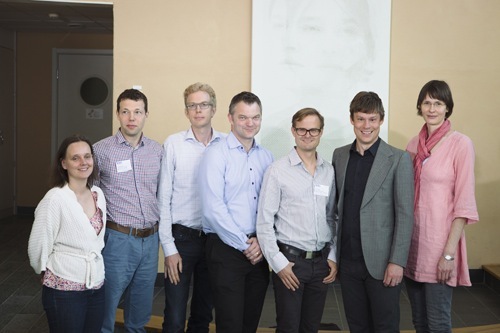 With the help of our new created national advisory committee, we have recruited six clinicians as new clinical research fellows representing now all medical faculties at Swedish Universities. The advisory committee includes Kristian Riesbeck, Lund, Birgitta Henriques-Normark, Stockholm, Ann-Marie Svennerholm, Göteborg, Lennart Svensson, Linköping, and Björn Olsén, Uppsala. The deputy chairman of MIMS, Maria Fällman, is coordinating the advisory committee. In October 2017 a new call for MIMS Clinical Research Fellows was published and announced on this website and in the Läkartidningen in Sweden. The applications are at the moment under evaluation.